Now it is a major development in the case will India play Pakistan in World Cup 2019 or not. The International Cricket Council (ICC) has turned down the down request of BCCI (Board of Control for Cricket in India) to sever ties with nations which harbour terrorists. The ICC clarified that the international board has no role to say anything in such kind of matters and so BCCI's request can't be taken forward. Let us tell you that in the wake of Pulwama attack, BCCI wrote a letter to ICC to stop allowing nations which harbour terrorism to play in World Cup, so that will help India to not play against Pakistan. Though the letter didn't specifical mentioned the name of Pakistan but as ICC knew the situations it was intentionally was for Pakistan. Now ICC made it totally clear that there is no chance that they can stop Pakistan in playing World Cup 2019. "There was no chance that anything like that would have happened. The ICC chairman made it clear that the decision to ostracize a nation is taken at the government level and ICC had no rule. The BCCI knew it all along but still took a chance," a BCCI official told PTI. The matter was actually discussed on Saturday in the board meeting of ICC in the presence of international board's chairman Shashank Manohar. Acting secretary Amitabh Choudhary was presenting BCCI in this board meeting. The security concerns were also raised in the meeting but ICC totally assured that there will be no security problems in England & Wales during world cup 2019. The BCCI official also told that no international player who plays in Pakistan Super League has raised any such kind of trouble. "So many players from member nations play the Pakistan Super League and they would have never entertained such a request. Yes, security was a concern and it had been duly addressed," the official added. 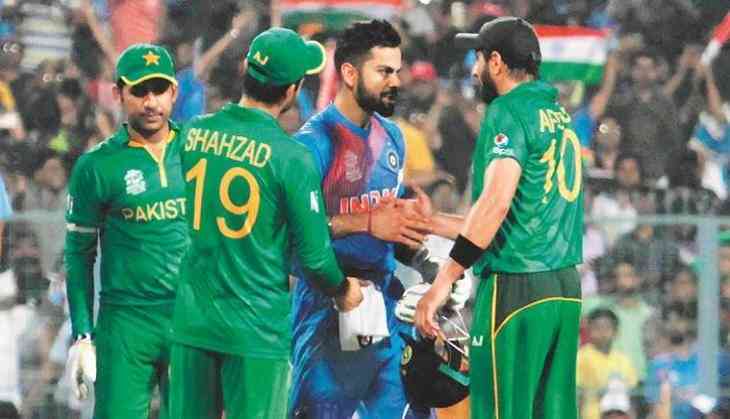 Let us tell you that BCCI also has left the decision to the Indian government and the government indirectly has denied BCCI to play against Pakistan in World Cup 2019. While the match between India and Pakistan will be played on 15th June 2019.